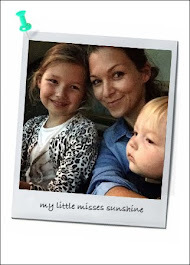 Today's post is not about the kids... it's about you ladies. Aviva labs offers high quality mobile service at your home. The consultant come to your home and set up her "spaceship" looking tent. After discussing with her the desired colour to achieved, she will prep you on how to stand. Easy. The tanning solution is applied evenly with a spray gun, no streaky effect. It takes 10 minutes and the result is immediate but will keep developing for the next 8 hours. Aviva products are paraben free and hypoallergenic which make it safe for sensitive skin. I was impressed with the oil free, alcohol free and fragrance free formula. No stickiness, no bad smell!!! Dry very quickly, I got dress in loose clothing within minutes. After two days, I am still pleased with my golden tan. Hopefully like promised it will faded like a suntan, without the harmful affects of the UV rays. It can last up to 10 days, just need to gently exfoliate and moisturise daily. Mobile service. Cost 250 dhs.